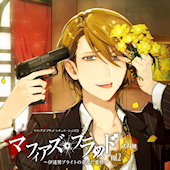 Second in a planned trilogy of “Mafia’s Blood” drama CDs. The featured voice actor on this volume will be Ken Takeuchi. Check out the official site for more info.